In 2008, Carillo was selected by the Long Island Music Hall of Fame as a recipient of its Lifetime Achievement Award for adding to the rich musical history and culture that is uniquely Long Island's. 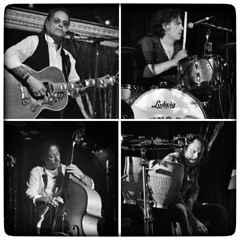 The honors continued when Frank Carillo and the Bandoleros were selected as nominees for the 2008 Roots Rock Artist of the Year award by the Roots Music Association of America. In addition, the band was selected by the Hollywood Music Awards as the 2008 Blues Artist of the Year.